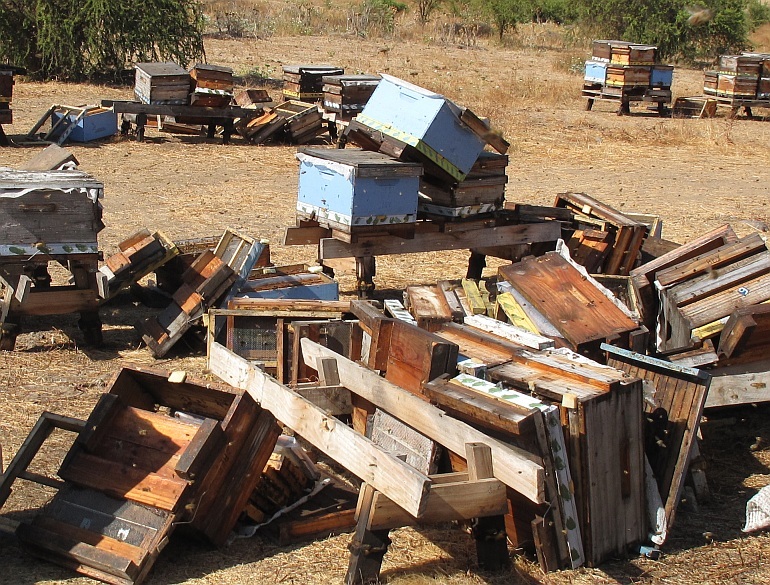 Beehives in Chile – shaken and stirred after the 2010 earthquake. Earlier this week, geophysicists reported an analysis of the April 1, 2014, Chilean earthquake which killed six and displaced tens of thousands close to the epicenter near the Peru border. They said the new study is yielding information which may help predict future earthquakes in the area. At Magnitude 8.2, the 2014 Iquique earthquake was strong, but nothing near the intensity of the Concepción eathquake (M8.8) four years earlier. Researchers say the less intense rending actually gives more cues about the fault zone’s future activities than a stronger event would have given. I missed the devastating 2010 Chilean earthquake by a few days. Considered the world’s 6th most powerful earthquake (in recorded history), it rivaled the world’s worst – which was in 1960 and also in Chile. In the picture above, you can see what happened to a friend’s honey bees hives. His farm was 500 kilometres from the epicentre. I saw this apiary a couple of weeks before the big earthquake. It was doing fine then. Funny thing about earthquakes. Everyone knows a bad one is coming. No one knows exactly when. But they can turn lives upside-down – human and arthropodal. As a geophysicist, I didn’t want to actually see a major earthquake at work. I’m glad I left South America just before this one hit. It closed the airport, downed bridges, and trapped people in their homes. What Chile needed after the earthquake were doctors and rescue teams, not an inept seismic guy, if I had stayed. By the time the big one came, I was already back in Calgary. 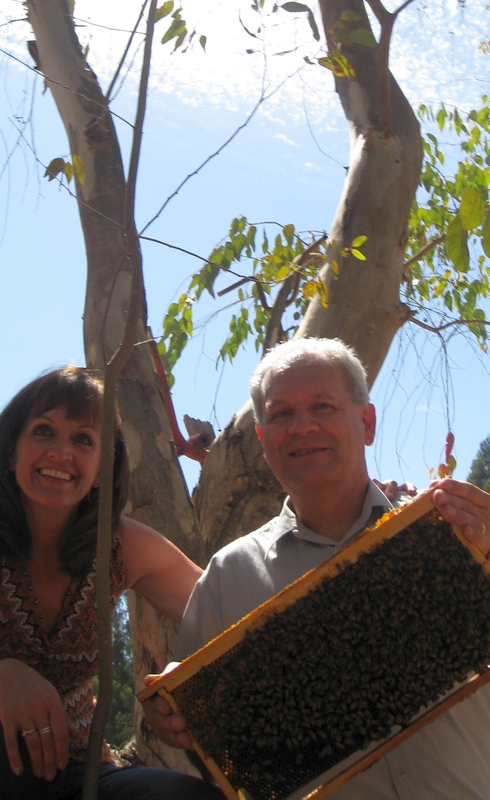 My sister and I – among the Chilean bees. Mild shakes sometimes forewarn of a major earthquake. I was working in Peru and Chile on a short project in February 2010. My sister flew to Chile to join me half-way through my work there. We took a day to tour downtown Santiago, went into an old museum, a yellow, stucco building that had once served the mayor. On an upper balcony, the floor trembled a bit. I thought the shaking might have been caused by a slow rumbling train, or a delivery truck. But neither were anywhere in sight. The plaza held gently swaying palms and children rushing about on bicycles. But nothing big and quakey. My sister, who lives in San Diego, told me it was a small earthquake. She was right. The great central valley in Chile has such things at least weekly. It would be wrong to assume this one was an omen of the destruction that would arrive a few days later. It was mid-summer in Chile. I was there to work, but in free time, I visited friends who kept honey bees as a business. Beekeeping is big in Chile. Bees pollinate fruits – especially avocados – and Chileans grow a lot of fruit. And millions of tonnes of honey are produced from clover, canola, avocados, and exotic trees like quillay, ulmo, and tineo. At a honey exporter’s shop – a business that ships 5 million pounds of honey each year from a bright and modern plant – I learned even more. In the laboratory, I met the quality supervisor. She was a young lady with a chemistry degree. She produced samples of Chilean honey for me to examine. Drums of honey – smashed, shaken, and stirred. “This,” she said, “is clover, from Aysén. Far south.” Aysén, near the southern tip of Chile, is where beekeepers from Chile’s northern valleys truck their bees in the spring. After Aysén, the next stop is Antarctica. The chemist also showed me black-colored honeydew collected from pristine forests along the Andes, golden honey from the northern desert, and dark molasses-flavored honey from avocado groves around Santiago. Before I left, I was escorted around the shop, past honey in neat steel barrels stacked drum-on-drum three levels high. A ton of honey in each of the hundreds of stacks. 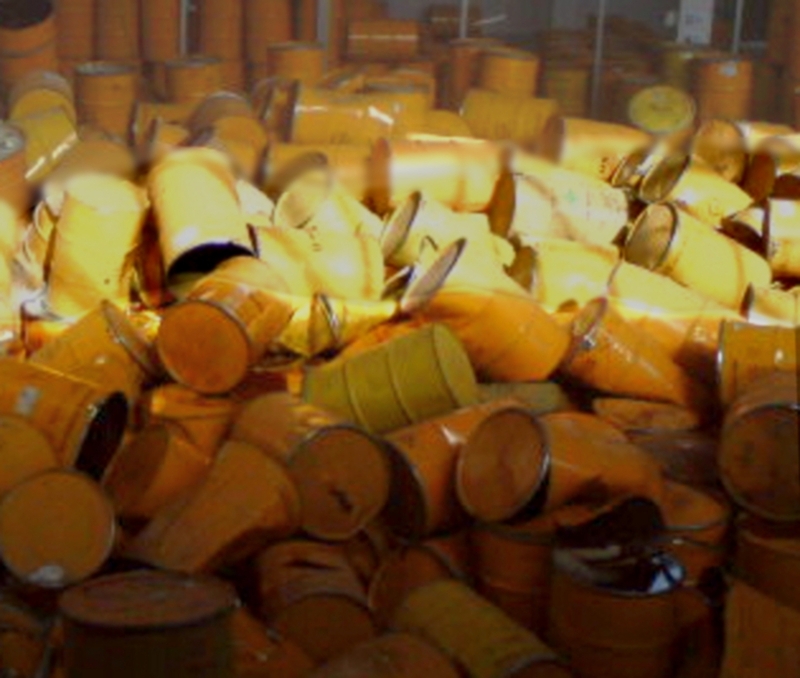 A week later I heard that 2 million pounds of honey were lost – barrels broken, honey leaked on the concrete floor. Honey wasn’t the only thing spilled. 125 million bottles of wine were washed away. In some towns “the streets ran red” with spilt wine, according to the Santiago Times. We tend to forget the incidentals of earthquake damage. Millions of pounds of honey; millions of bottles of wine. Quite rightly, it is human loss we grieve – during the 2010 Chilean earthquake, 600 people died. Worst hit was the coastal city of Concepción – Chile’s second largest city. On February 27, 2010, an oceanic tectonic plate disappearing under South America took a deep dive. A 600 mile stretch of the Nazca Plate jerked into the subduction zone, settling farther under South America. Meanwhile, in a violent rebuttal, parts of the South American tectonic plate lurched west, up over that wedge of ocean crust. The total energy of the 2010 Chilean Earthquake was equal to 240 million tons of TNT. 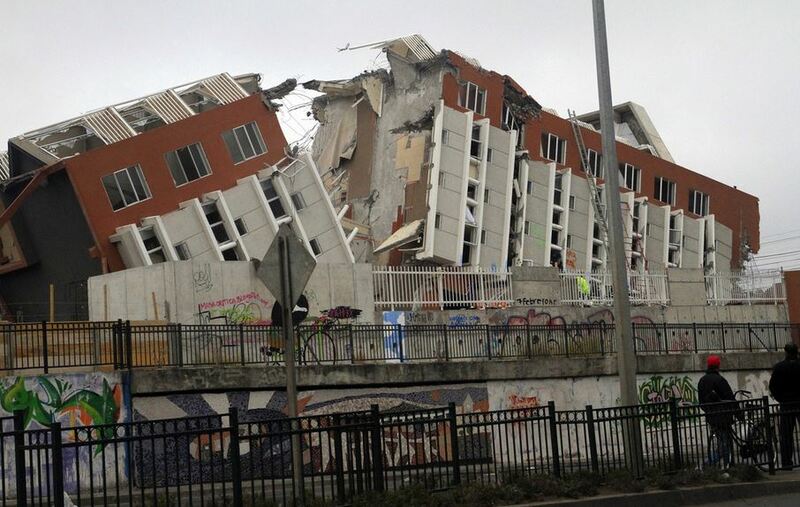 Near the 2010 epicenter, Concepción, jumped an amazing three metres (ten feet) west. The whole city, in one big piece, was conveyed along a thrust-fault. The earthquake shifted almost a million people, their houses, cars, fire stations, and schools, roads, trees, and parks – a whopping three metres. If you lived in Concepción, you’d think your neighbour’s house was where it was the previous Friday evening. But you’d be wrong. According to GPS tests run by geophysicists from Ohio State, the entire city had lurched westward. If you had the misfortune (and talent) to jump up into the air the moment the earthquake struck (and stayed there half a minute), you would have come down some distance from where you’d started. Well, actually, you would have dropped where you started, but your neighborhood would have moved under you. Meanwhile, three hundred kilometres away, at the capital of Santiago, the city and its five million people were lifted and dropped about half a metre west. And all over the country, bee hives were lifted and dropped from their pallets and perches. Chilean earthquakes will repeat their jerks and lurches for millions of years, finally stopping when South America has devoured the Nazca Plate. Most recently, on April 1, 2014, the north coast of Chile was badly shaken along the northern edge of the subduction zone where the Nazca tectonic plate slides under the South American plate. Not as severely as the 2010 earthquake, the M 8.2 2014 Iquique earthquake was also not as strong as the 1877 M 8.8 in the same area. This sheds light on the formation and distribution of quakes along the busy border between the Nazca and South America plates. The big finding, according to an August 2014 article in Nature, is that earlier predictions that the next major Iquique earthquake would measure 8.8 because the last big one, 150 years earlier, was also 8.8, were wrong. The weaker strength of the 2014 quake apparently took most researchers by surprise. It tells them that the worst scenerio is not always the one that will happen – even if people have been waiting 150 years. It also suggests that not all the stress was released on April Fool’s Day in 2014. More is yet to come. Finally, this is a reminder of how little we know about predicting earthquakes. This entry was posted in How Geophysics Works, Plate Tectonics and tagged bees, Chile, earthquakes, plate tectonics, subduction. Bookmark the permalink.